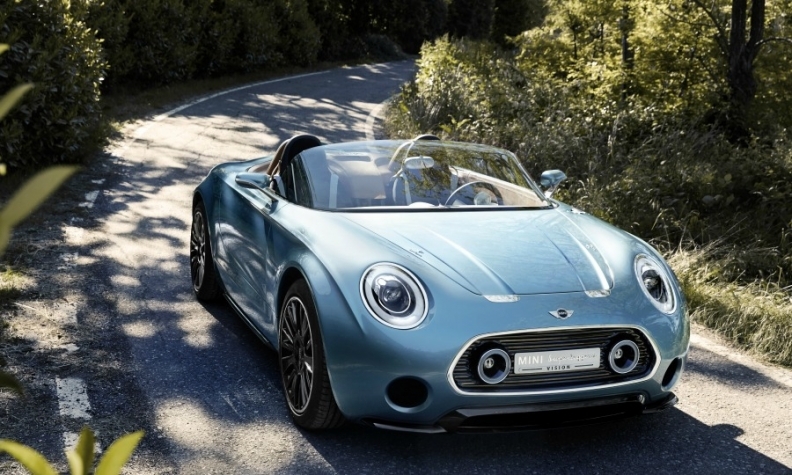 BIRMINGHAM, England -- Mini is still examining whether it can make a business case for its Superleggera Vision roadster, a senior BMW executive said. The Superleggera Vision, which was unveiled by Mini last year, highlights potential new design cues for the brand such as a stretched hood, long wheelbase and short overhangs. Company sources said a production version could cost about 35,000 euros. Mini's global sales through April were up 28 percent to 101,079, boosted by the launches of the latest three-door hatchback and a five-door Mini. Mini is trimming its portfolio of eight models under Schwarzenbauer, a former Porsche and Audi sales exec, to focus on a handful of distinct products. Small volume models such the Mini Roadster and Coupe as well as the Paceman SUV-styled coupe, which together accounted for just over 8 percent of the brand’s sales last year, likely will not be replaced at the end of their lifecycles. Asked about the impact of the UK quitting the European Union, dubbed a Brexit, Schwarzenbauer told the conference: "It would be bad for both sides, bad for Europe and bad for the UK." But BMW would continue to work in the UK in the event of a Brexit, he said. Mini’s factory in Oxford, central England, built nearly 180,000 cars last year. Rolls-Royce produced 4,500 cars at its plant in Goodwood, southern England. BMW has a UK engine factory. British Prime Minister David Cameron has pledged to hold a referendum by 2017 on whether the UK should stay in the EU.